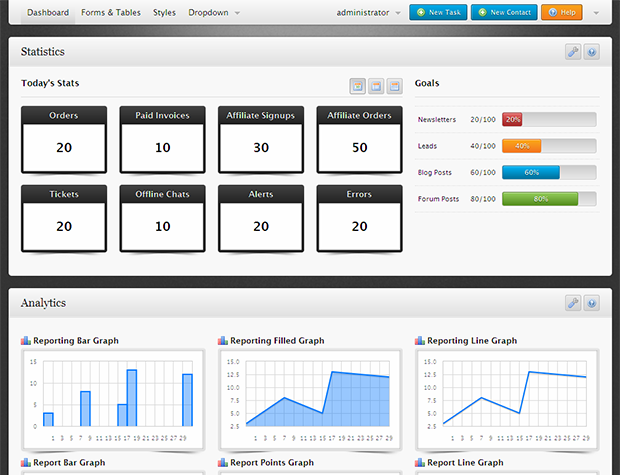 An admin template, specially crafted for marketing or reporting dashboards. NOTE : The PSDs included are the elements used like background, search and zoom icon. Since the entire template was created using HTML5 +CSS3, there is no PSD for the whole template.